Have you recently had a big tidy up that resulted in lots and lots and LOTS of shredded paper? Well we have… we now have shredded paper coming out of our ears (the kids loved doing the shredding on my behalf.. a great school holidays activity in itself! ha!!!). 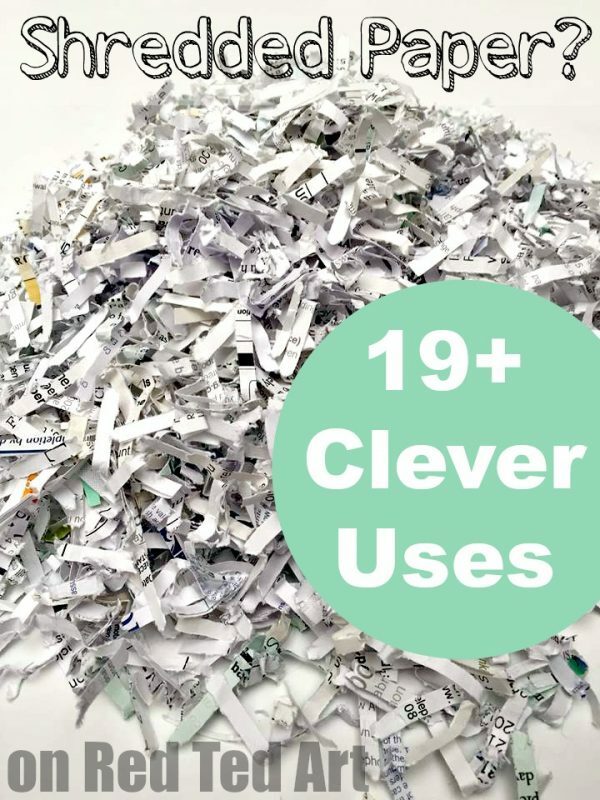 Anyway, though of course, I could just add it to the recycling bin, a part of me wanted to do something new and exciting with the TWO BIN BAGS full of shredded paper, so I asked my Facebook readers what they thought the best uses for Shredded Paper are! So.. what can you do with shredded paper? 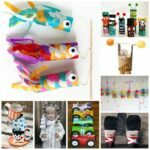 What shredded paper crafts are out there?! Here are some of the best suggestions.. NOTE: for the majority of these shredded paper ideas, it is important that you avoid GLOSSY magazines or plastics that you would find on an envelope. Keep it to simple paper letters etc. 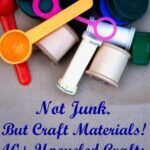 You don’t want plastics or other chemicals in your garden/ pet storage or craft! 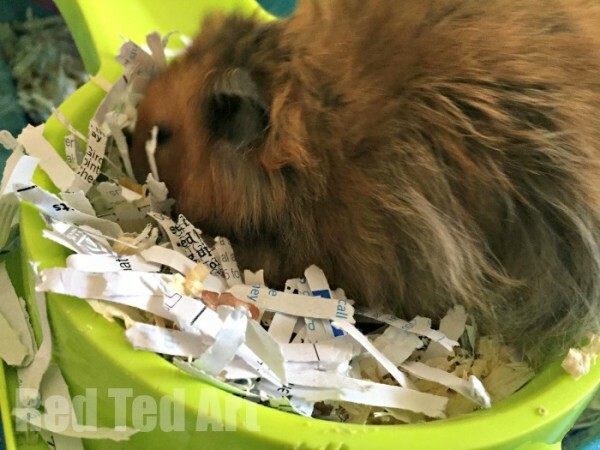 Use the shredded paper to line cat litter trays (or mix in with traditional cat litter) or use it as Hamster bedding. I confess, I wasn’t brave enough to mix the paper in with out cat litter.. what if it makes a mess or doesn’t work? But I DID use it in George the Hamster’s Cake. And I can report back that he LOVES it. I mixed it in with the pet store bedding… and he has been rummaging around in it happily, as well as collecting it in is hamster pouches and dragging it into his bed with him. It would also work great in any chicken coop! And once you are done with it in there, it will make a super fertile addition to your compost heap for sure! 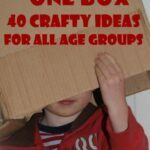 Oh what a great idea… add some shredded paper to a box or tray.. then add some objects (themed if you wish) and get the kids digging around for them. I think the shredded paper would make for a great winter play scene! 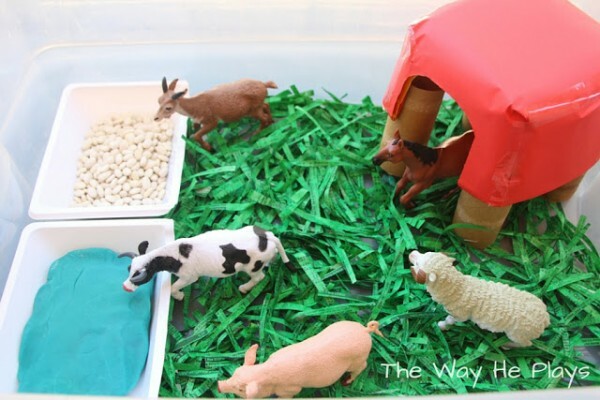 I love this farm scene by the way he plays – though they did colour the PAPER first. You may have to experiment re colouring paper AFTER you have stredded it (would a coloured water spray bottle do the trick??). 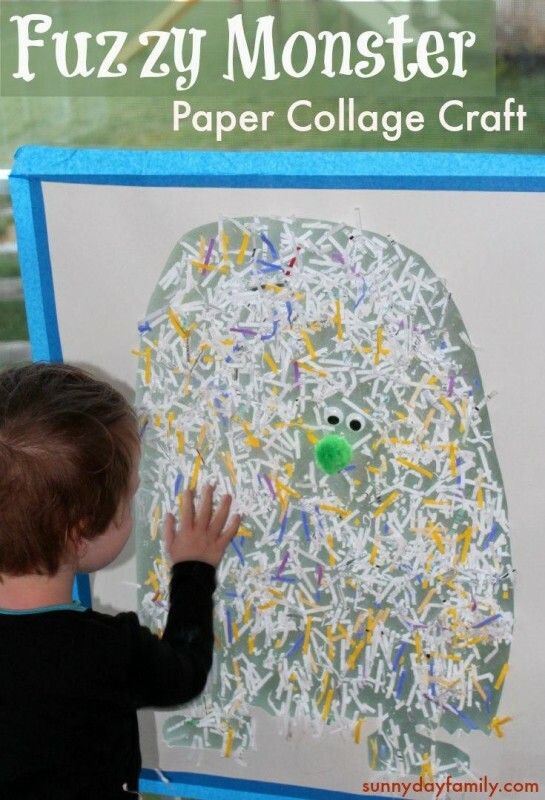 Similarly, here is a great one fish, two fish DIY game using shredded paper! Similarly – if you are organising a school or charity Lucky Dip – then shredded paper makes a brilliant material for lucky dippers to route around in… get a big box or barrel filled with shredded paper (your own or from the school office). Wrap your surprised and distribute in the box. Then charge people 10p – 50p (depending on the value of your surprises) to rummage around and find a gift! 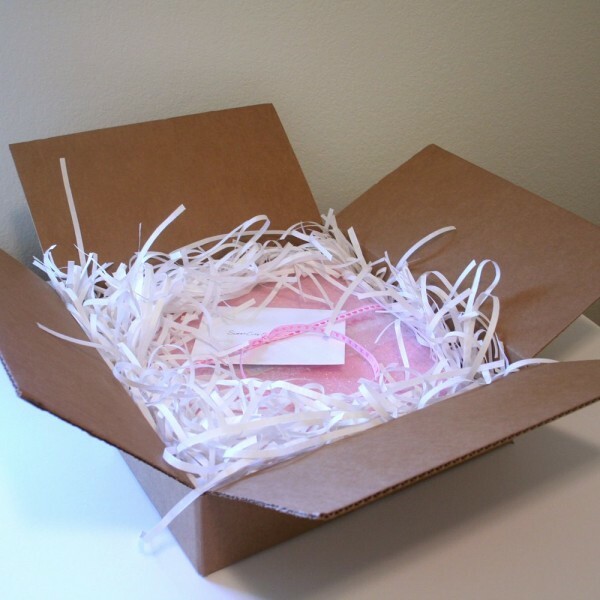 Shredded Paper makes a fabulous substitute for bubble wrap, those awfully environmentally UNFRIENDLY Styrofoam chips or simple newspaper. Pack whatever you are sending tightly among your shredded paper and you are sorted!. 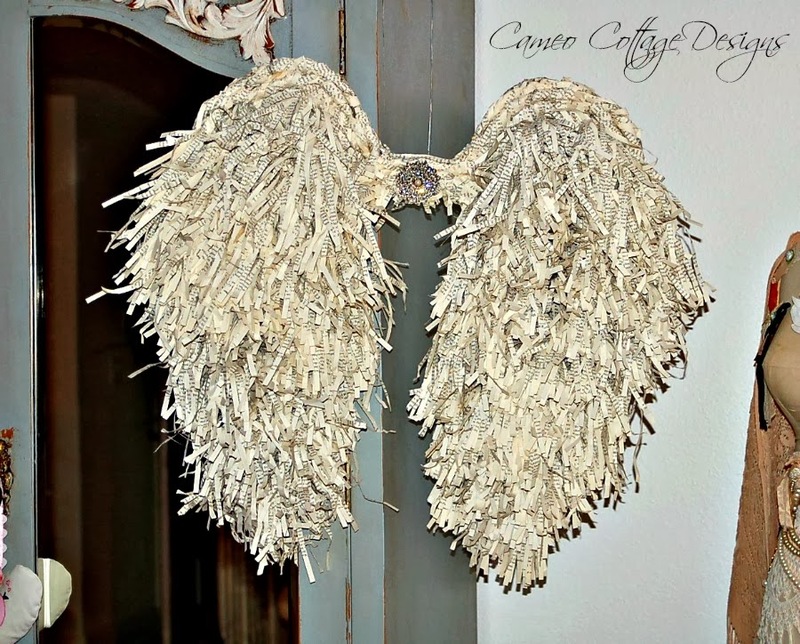 When asked for things to do with Shredded Paper, it was suggested by a number of people that shredded paper would look lovely as decore in Easter Nests. I certainly has the right texture. I would be tempted though, to to experiment with adding some colour to your shredded paper. 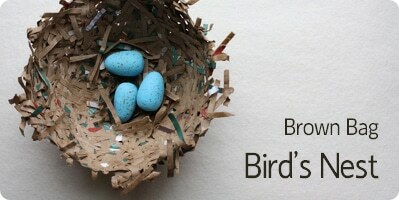 Maybe spray it with some coloured water (say yellow, pink or green) and see if you can give more of an Easter Nest feel? What do you think? Would love to hear back if you give it a go. 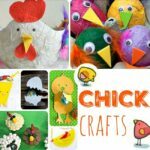 And whilst on the topic, I have some fabulous EASTER BASKET CRAFTS for you too! There are lots of uses for shredded paper in the garden. The first and easiest is to add some to the compost bin. It counts as “brown matter” in your composting, so you can actually add quite a bit of shredded paper. You need more “brown matter” than “green matter” (such as kitchen waste), and the shredded paper works great for that (thanks to my reader tip on this!). Apparently some wet shredded paper is ideal for mulching – spread it around the bottom of your plants and it will help deter weeds, as it starves them of sunlight and nutrition. Pulp the paper (soak it in water first, then use a blender), then you can shape the pulp into little seedling pots (using a muffin tray) that can be planted straight into the garden. If you have an Art Project that uses COTTON WOOL, you can substitute the cotten wool for shredded paper. 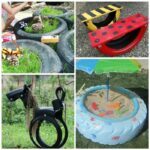 This makes any classroom projects particularly environmentally friendly and economical. Eg. 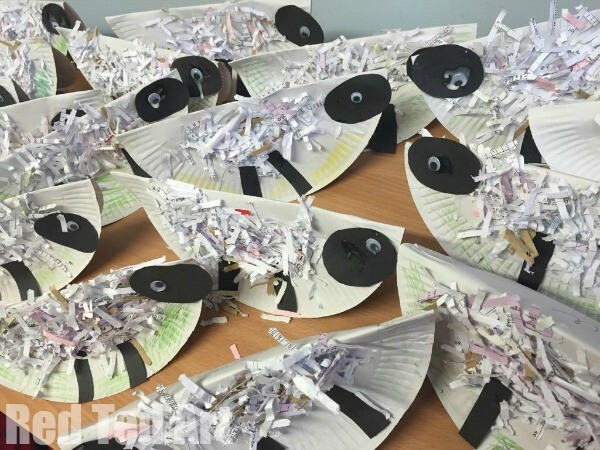 we made some Paper Plate Rocking Sheep in Reception (4-5yrs olds) and they were adorable! 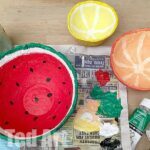 Make your own Papier Mache Bowls (we decorated ours as summer fruit – Watermelon, Lemons and Oranges! Go look!!). 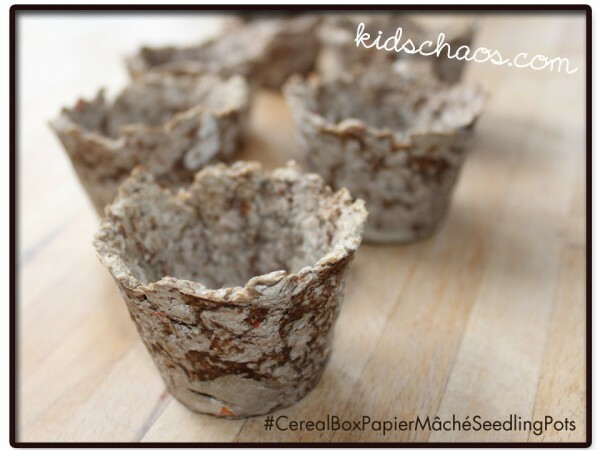 This has been a super way to use the Paper Pulp… we soaked our shredded paper in water. Blended it with a handblender (MUCH easier than I thought). Squeezed the water out and then chucked into a tub of homemade papier mache paste! Creating paper crafts like this, is quite different to the “paper strip” process that we are used to. It is a bit more like modelling mass, than layers of paper. And you can experiment and create all sorts of things. We made some bowls! More on these to follow. 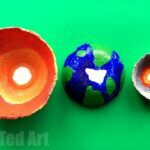 We also made some AMAZING “Layer of the Earth” Bowls for Earth Day/ Science Fair Project. They are so cool and pretty! (This image is our work in progress!! More to follow! And needless to say, you don’t HAVE to make them heart shaped, but we thought it was a nice little touch!). 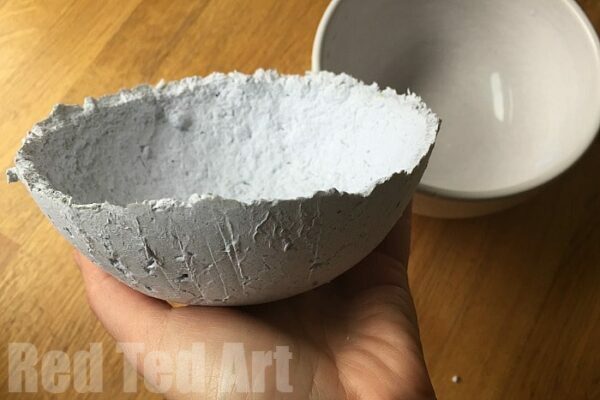 This is a super simple use for shredded paper pulp and strangely sensor-ily satisfying. We soaked our shredded paper, pulped it with a hand blender. Then took handfuls of the pulped, squeesed out the excess water and shaped it into heart brickets to then use on the fire place. It had that oo-ey goo-ey feel that feels fabulous, but without any oo-ey goo-ey mess or stickiness.. Your hands just end up wet! You can had some dried lavender seeds to these brickets and they make lovely little gift to campers or people who use an open fire. Love. I have to confess I have been eyeing up these Papier Mache Seed Bombs for quite some time now. They seem an ingeniously environmentally friendly idea to me. BUT…. I have to also say, I am uncertain about them too. Basically.. my Shredded Paper Pulp is REALLY REALLY SOGGY… which is fine of course.. and you can squeeze out the excess water. But I worry, that the pulp will start the seed sprouting process – especially whilst to try and dry these out. So unless, you plant these in the ground very quickly after making them, I worry that that the seed WILL START TO GROW and then die, as it won’t get enough water quickly enough. Would love to hear people’s feedback on whether they have made these AND GROWN things successfully. 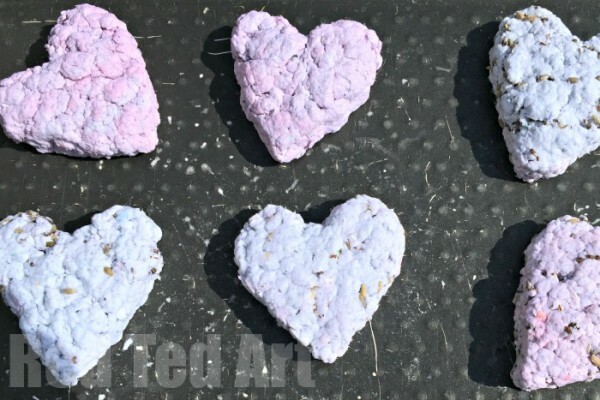 I spoke to the lady of this Seed Bombs post and she assures me that they work fabulously, though ONE batch did sprout straight away!! Alternatively I do have some clay and earth diy seed bombs which are much drier to begin with and that do make a lovely gift. My kids discovered that our bin bags full of shredded paper were SUPER COMFY! A bit like bean bags, though they did compress a little over with time. So I quite like this idea from my Facebook reader: Stuff tightly into rubble sacks & seal with duct tape – great waterproof cushions or kneeling pads for the garden. Here is a fun idea from Sunny Day Family. Contact paper, googly eyes.. and off you go. I wouldn’t recommend it as stuff in a toy (though my kids were keen to try it out.. I wonder how flat and hard it would get after a while..), but shredded paper makes excellent stuffing for “stuff paper bag projects”. Eg. here is a great Leaf Sewing Project for Kids or take a peak at our Rain Cloud, Stuffed Sheep Mobile or Stuffed Hearts for other project ideas to do with kids! 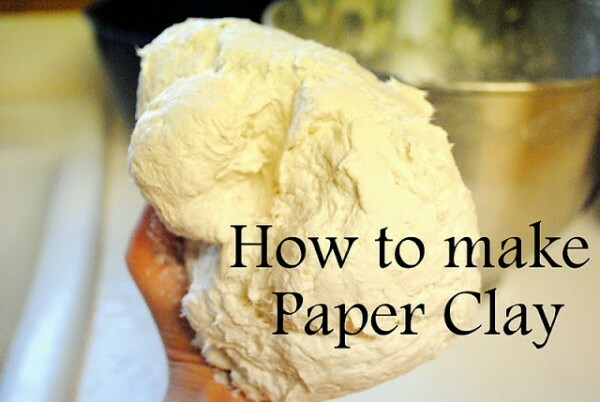 I LOVE the idea of Paper Clay – if you make this paper clay recipe, however, be warned, yours will not be this white. 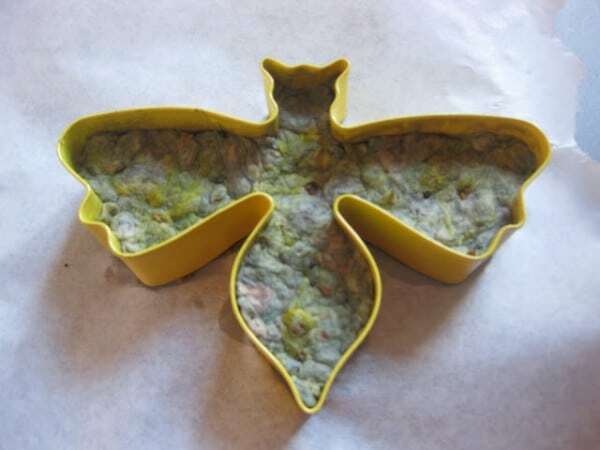 This recipe uses Toilet Paper – so isn’t that eco really.. but you can use the SAME recipe and substitute the tissue paper with shredded paper and then get modelling! Well. What more do I need to say?! Simply WOW! Find out more here. 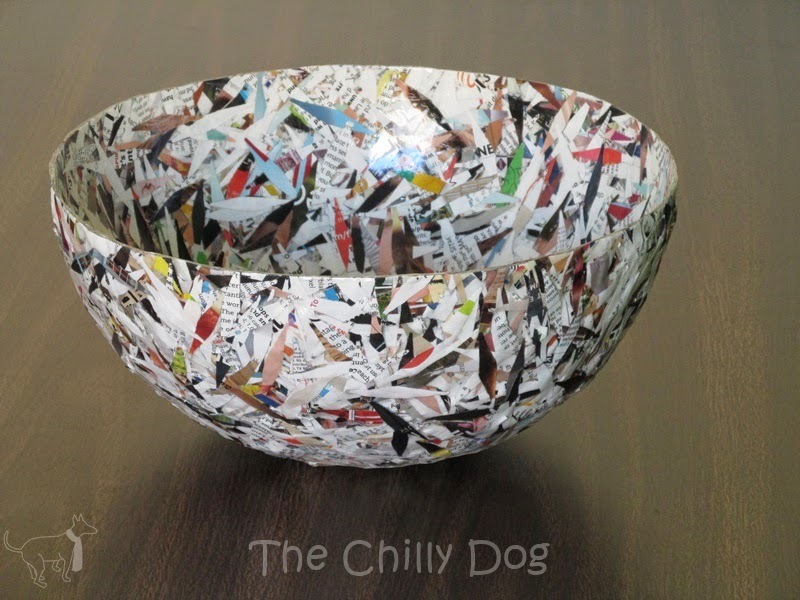 Here is another cute bowl or nest idea – using the shredded paper “as is”.. with no need for pulping etc first. Would be a lovely spring craft or wonderful for Easter too. Similarly check out THIS shredded paper bowl. Great for snipping up some magazines too! All in all, we have had lots of fun with our shredded paper and I think that shredded paper is by far more versatile, than I first thought! I certainly plan to make more things from it in future. 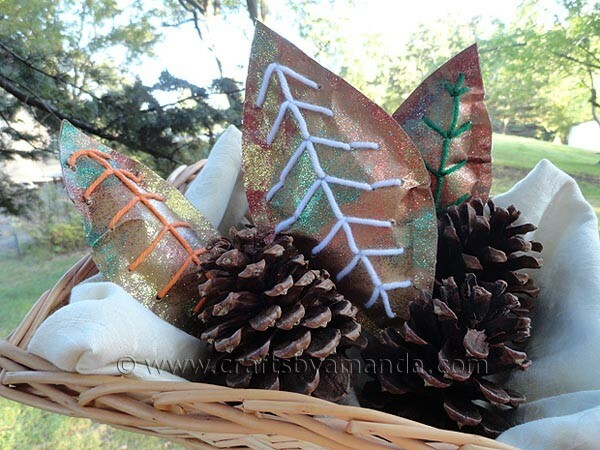 I hope you consider it as a craft material too and that it is no longer just destine for the compost heap! Ooops sorry! I missed that off! Have added it now. 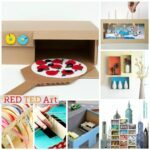 You a simple paper clay, by also using papier mache pulp and papier mache paste.. but it is harder to use! I compost my shredded paper. It counts as “brown matter” in your composting, so you can actually add quite a bit of shredded paper. You need more “brown matter” than “green matter” (such as kitchen waste), and the shredded paper works great for that.